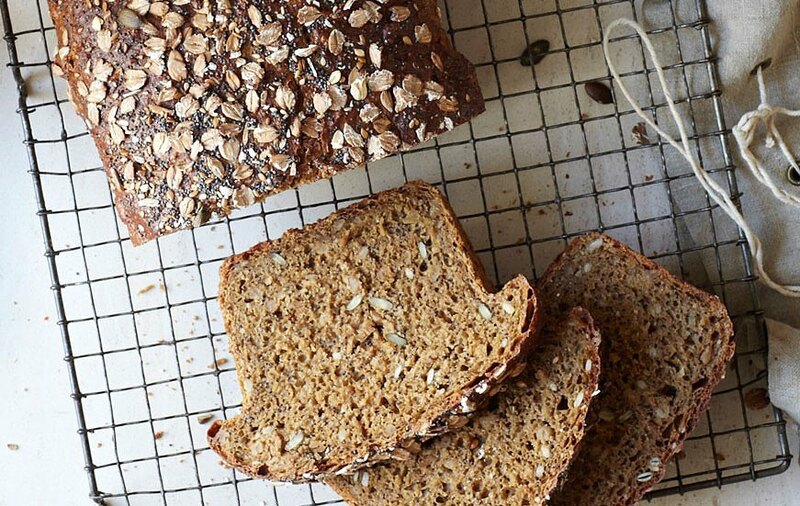 This nutritious, nutty wholemeal loaf is full of grains and seeds, making it perfect for lunchboxes or to enjoy for breakfast with a topping of your choice. It is chewy and rustic, the way really good bread should be. If you leave the dough to ferment overnight in the fridge, you only need half the quantity of yeast, as the yeast multiplies over the longer proving time. This produces an even more delicious and complex-flavoured loaf. It also makes the best toast because the lightly toasted seeds and spelt combine to give a great taste. You can use equal quantities of wholegrain and white spelt flour, if you prefer. Lightly oil a large bowl and a 900g/2lb loaf tin. 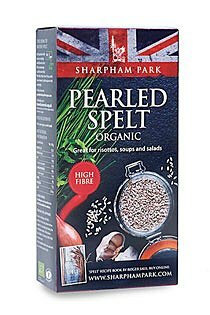 Cook the pearled spelt in boiling water for 20 minutes, or until tender, following the packet instructions. Drain and leave to cool slightly. Sift the flour into another large bowl and make a well in the centre. Add 350ml/12fl oz/scant 1½ cups lukewarm water, the oil, yeast, sugar, if using, treacle, salt and cooked pearled spelt, if using, and mix together, using a wooden spoon, to a rough dough. Turn the dough out onto a lightly floured work surface and knead for 5-8 minutes until the dough is smooth and elastic and springs back when poked. Transfer the kneaded dough to the prepared bowl, cover with a clean, damp tea towel and leave to rise in a warm place for45 minutes, or until doubled in size. Turn the dough out onto a lightly floured work surface and roll out to 1cm/½in thick. Reserve 1 tablespoon of the mixed seeds, then sprinkle the remainder over the dough. Fold the dough to incorporate the seeds, then shape into a rectangular block and put in the prepared loaf tin. Cover again and leave to rise in a warm place for a further30 minutes until the dough has doubled in size and no longer springs back when poked. Preheat the oven to 220°C/425°F/Gas 7. When you're ready to bake the loaf, beat the egg with 2 tablespoons water to make an egg wash, then brush over the top of the loaf and sprinkle with the reserved seeds and the spelt porridge flakes. Splash a little water in the bottom of the oven to create steam to help the bread to rise. Bake just above the centre for 10-15 minutes, then turn the oven down to 190°C/375°F/Gas 5 and bake for a further 30-40 minutes, or until the bread is well risen, firm. 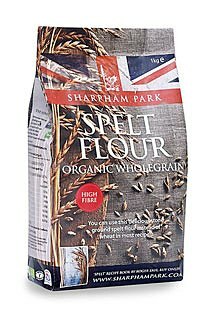 Cooks' tip : The gluten in spelt flour has different qualities than in wheat so spelt requires less kneading time.